I attended a prayer vigil last July at the behest of our mayor, Mike Rawlings, following the tragic police shootings in Dallas, Texas. That a man who believed in the power of prayer was administering the city at a very turbulent time, reassured me, so I felt compelled to join him for prayer. Today is a watershed moment in American race relations. As a diverse nation of people we can ill-afford to be passionately sympathetic about Dallas, but passively indifferent towards Falcon Heights, Baton Rouge, Tulsa, Charlotte, El Cajon or any others. Collective healing begins when we confront the reality that both casualties deserve to be treated without implicit bias. Both inequities beg for public censure and social redress. Both atrocities were abhorrently evil and morally unconscionable. Both tragedies leave behind wives, children, parents, significant others and friends to mourn the unspeakable loss of loved ones. Healing happens when both protesters and protectors accept the incontrovertible truth that ‘Black Lives’ do matter and ‘Blue Lives’ matter, simply because ‘All Lives’ were created equal by God regardless of complexion, creed, or social context! The Black community and law enforcement in particular must work earnestly towards healing their strained relations. We can rebuild trust by insisting upon the ethical demolition of the ‘blue wall of silence’ in order to give justice a voice. A respectful dialog of mutual understanding regarding each other’s perceptual and actual plight in this country should be initiated. Ongoing collaboration that continuously invents and invests in new initiatives (e.g., police/community sensitivity forums, police de-escalation training, community policing, comprehensive mental health screenings) promotes better relations as a result of engagement. “We in this country, in this generation, are—by destiny rather than choice—the watchmen on the walls of world freedom. We ask, therefore, that we may be worthy of our power and responsibility, that we may exercise our strength with wisdom and restraint, and that we may achieve in our time and for all time the ancient vision of ‘peace on earth, good will toward men.’ That must always be our goal, and the righteousness of our cause must always underlie our strength. For as was written long ago, ‘Except the Lord keep the city, the watchman waketh but in vain’” (Psalm 127:1b). Unless God keeps the city, we will never really achieve uniform justice or lasting peace. No amount of incisive thought or human invention will ever suffice for His divine guidance and intervention. 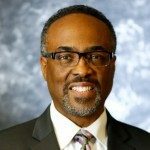 Eddie C. Polite, coordinates ministerial programs for the Southwest Region Conference of Seventh-day Adventists in Dallas, Texas.